Conference hotel rate expires tomorrow! Just a friendly reminder that tomorrow, MARCH 18, is the FINAL DAY to get the special rate of $129/night at the Water’s Edge. Please call 860-399-5901 and mention our conference to get the discount. for more information about the hotel and reservation process. We are looking forward to seeing you all at The Water’s Edge. Webmistress Mulcahy | Comments Off on Conference hotel rate expires tomorrow! 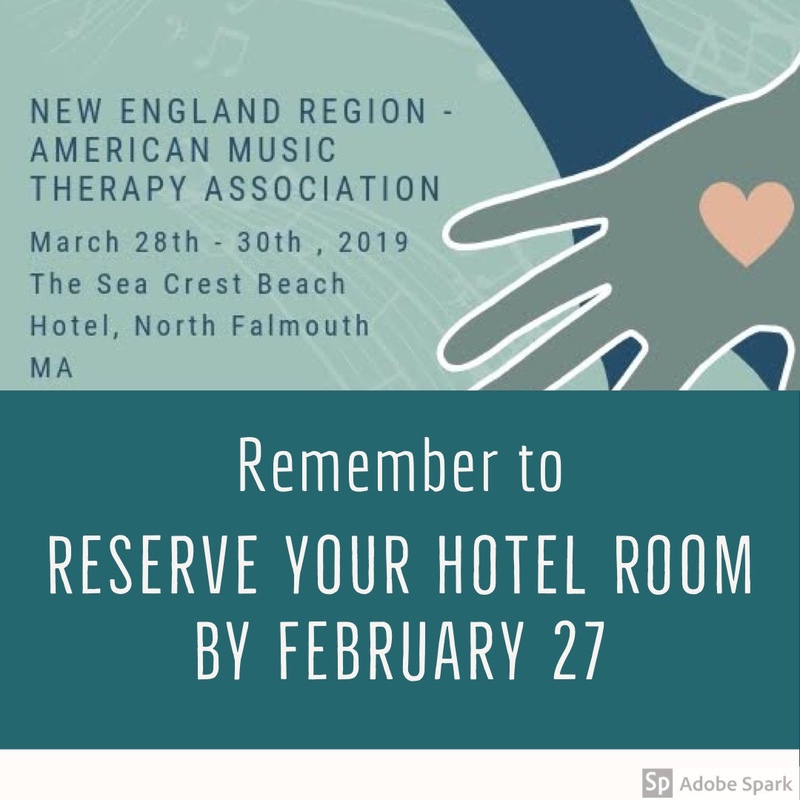 We wanted to update you with the hotel information for this year’s NER-AMTA Conference. Many people have been asking about hotel arrangements with the Water’s Edge. You will be glad to know that we were able to negotiate a very reasonable room price for the duration of conference. Here is the important information for making your reservations. The way to make a reservation is by calling the hotel at 860-399-5901. Be sure to mention that you are staying with the NER-AMTA so that you qualify for the special rate. 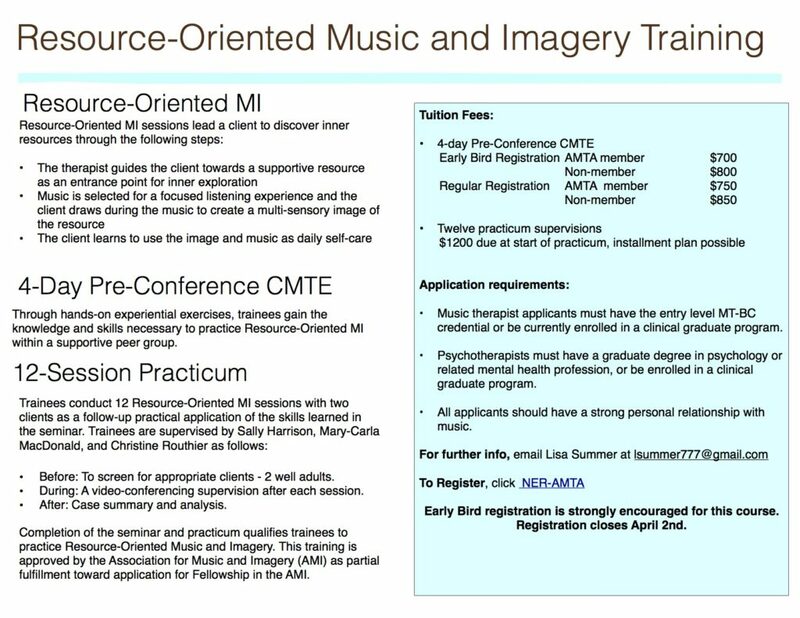 For any of you attending the Music and Imagery training, the hotel has extended the special rate starting on Sunday, April 15. However, to get these special rates, all hotel rooms must be booked by MARCH 18. After this date, they will not be able to honor the special rate. As a reminder, conference registration is now open, and the early bird deadline is April 1. We have so many exciting things planned for this year’s conference, and we can’t wait to see you at The Water’s Edge! 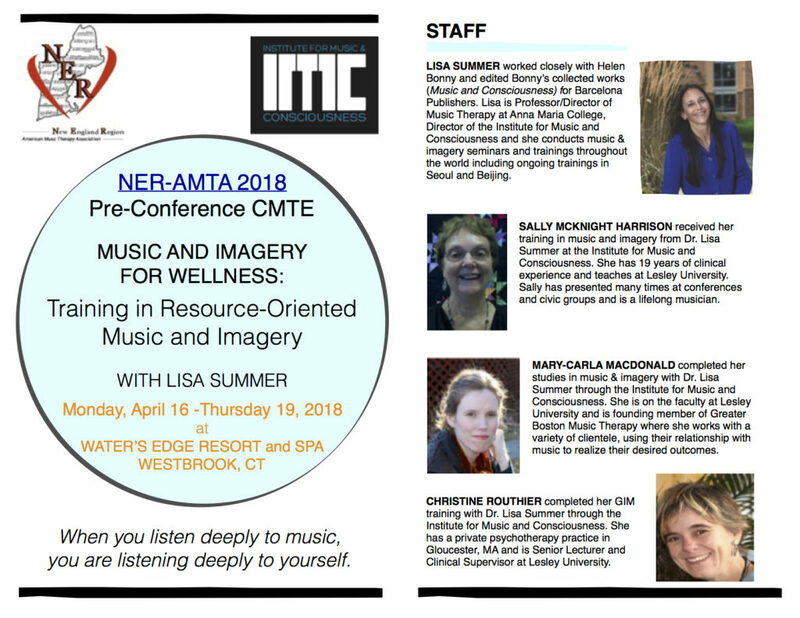 We invite you to attend a plenary session at the NER-AMTA Conference on Friday, from 5:15-6:15 pm. The following questions will be part of a panel and audience discussion as we reflect on our profession, our personal biases and our desire to be effective and inclusive Music Therapists. 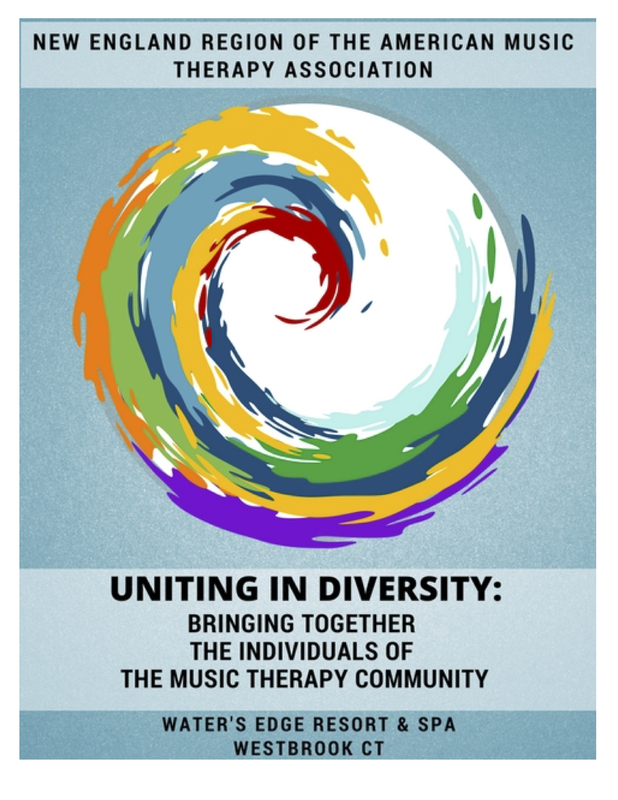 Please describe a music therapy experience in which diversity was compromised. What does diversity in our profession look like now? What would it take to make sure diversity is valued in our profession? There is a tingling of excitement in the air as we arrange the final touches on this year’s conference. This year we will have released our conference program via PDF. Our VP elect did a BEAUTIFUL job creating this for us. I recommend downloading this to your device in a program such as iBooks (for apple devices) or Adobe Acrobat PDF (for Android Devices). If you require a print version, I suggest downloading it on your device now and print it out. Also, we have used Guidebook as our app host this year. Please download the app. A unique passcode will be presented to you at conference. Need more guidance? I created a handy video tutorial especially for you! So check it out for download instructions and a sneak peek of guidebook. If you need further assistance with android devices, try this link or visit me at the registration desk and we can troubleshoot together. As always, if you require assistance with other technology related matters, you can contact me. Looking forward to sea-ing you in Newport!